Hastings, Neb. – March 2, 2011 – Pheasants Forever has received its first donated conservation easement, a 63 acre parcel of land in Nebraska’s Adams County. The donation from Dr. Ralph “Rip” Pfeiffer permanently protects habitat critical to upland birds and migratory waterfowl in Nebraska’s Rainwater Basin region. Under the terms of the easement, Dr. Pfeiffer will retain ownership of the property, while Pheasants Forever ensures permanent wildlife habitat management by limiting future land uses. Dr. Pfeiffer wanted to perpetually protect the property from agricultural production and development. He also contributed $15,000 directly to Pheasants Forever for ongoing stewardship of the easement. Prior to the conservation easement agreement, Dr. Pfeiffer had established all the tillable acres on his property into grassland, utilizing native grass and wildflower mixes from Pheasants Forever. The Adams County-based Little Blue River Pheasants Forever chapter will also be helping out with future management activities on the property. Although this conservation easement prohibits certain uses by the landowner, it does not make the land public. For more information, contact Drew Larsen at (308) 534-2807 / Email Drew. 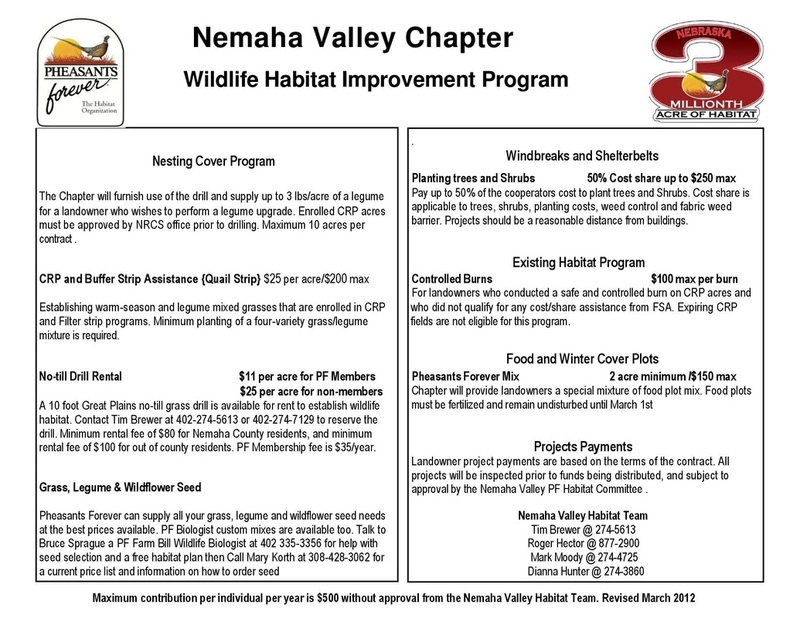 Pheasants Forever completes about 3,900 habitat projects annually in Nebraska. Those projects include wetland restorations, nesting cover establishments, land acquisitions, prescribed burning maintenance and winter cover plantings. 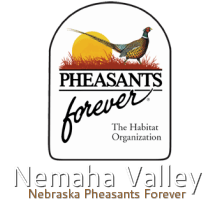 Today, Nebraska boasts 60 Pheasants Forever chapters, 4 Quail Forever (Pheasants Forever’s quail conservation division) chapters and 10,000 members.